From Goat Milk Soap and terracotta jewellery sets to beard balms and chatni pudis, check out a variety of handmade and organic products at Handmade Adda. If you ever happen to be in JP Nagar 8th Phase and chance upon a quaint little blue and white store that says ‘Handmade Adda’ don’t hesitate to walk in and check it out! Started with the mission to enable first time local entrepreneurs, the shop houses artsy handmade products that will warm your soul. Bath products, accessories, home decor and assortments of arts and crafts, we guarantee you will leave the place with at least two solid buys! One of the things that especially caught our eye was their bath products. Try their Lavender Bath Salts, made using a combination of organic pink Himalayan salt, Epsom salt, dried lavender buds and lavender oil. It’s ideal for soaking your feet in after a long day at work, and it smells divine too! 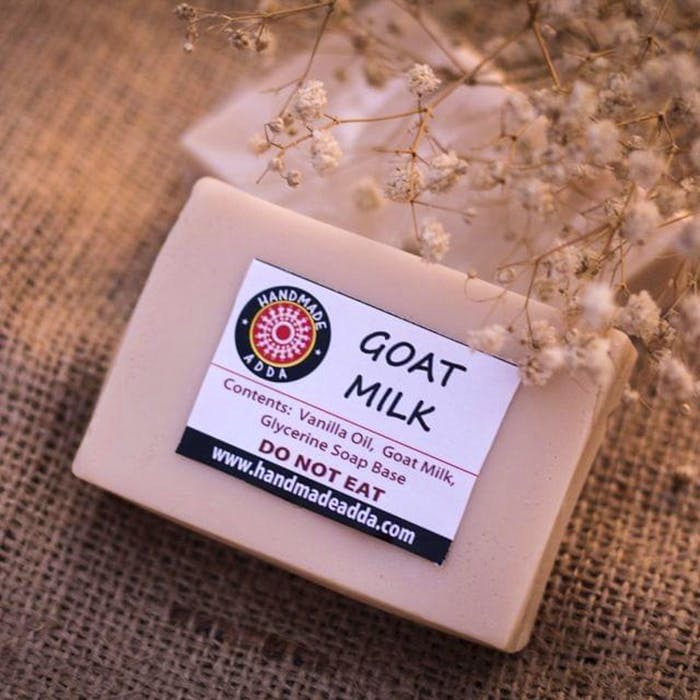 For those of you with sensitive skin, try their Goat Milk Soap (one of their most demanded products, they claim!). It’s rich in vitamin A, helps in reducing acne and wrinkles, and has natural moisturising properties, perfect for protecting your skin during cold winter mornings. They also have folksy terracotta jewellery sets that come with a neck piece and earrings. Cute and affordable (prices start from INR 350), they will look great on basic tops and kurtis. Apart from all this, if you carefully look around, you’ll also discover other useful things you didn’t know you wanted like beard balms, handmade piggy banks, diyas, millet mixes, chutney pudis and organic anti-mosquito gels. The Handmade Adda frequently participates in handicrafts events, so keep a lookout on their social media to stay updated on new and innovative products.